This table responds to an existing curved building façade. 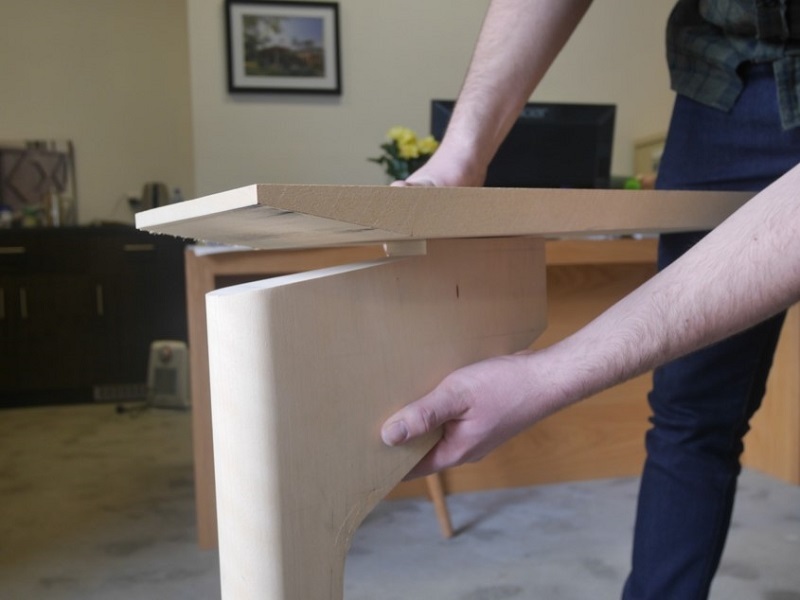 The table top is finished to a narrow profile and appears to float freely from three legs. The classic components of traditional timber-turning verge on decorative but are simplified by their precise lines and repetition. 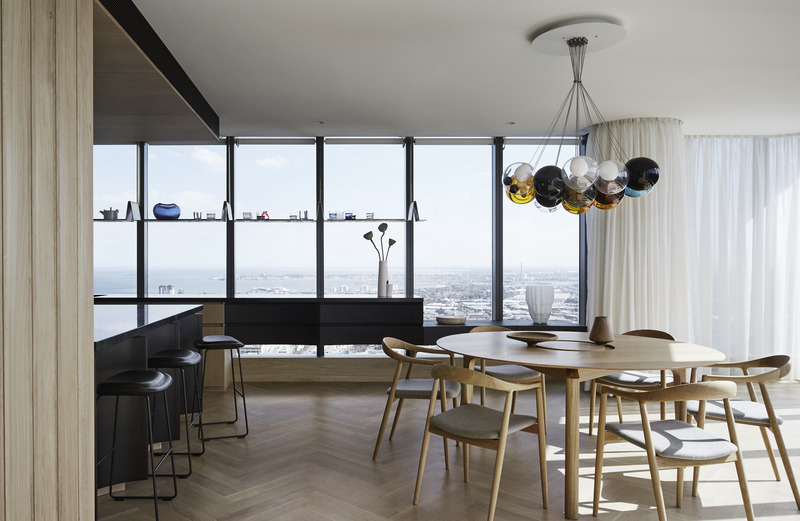 The brief was to retrofit a 56th floor apartment at Freshwater Place in a way that better reflected our clients’ personalities and interests. The spaces were to feel calm yet joyful. Timber has been used as a primary material on both the floor and wall linings and provides a warm backdrop to the city and bay views. Against these neutral surfaces, moments of colour, pattern and texture are used to reflect individuality and provide surprise. A custom timber wall lining features heavily. Displaying classic components of traditional timber-turning verging on decorative but simplified by their precise lines and repetition. A herringbone motif ties all the floor surfaces together, carried out primarily in timber parquetry. This project is a remarkable collaboration of skilled makers and fabricators. 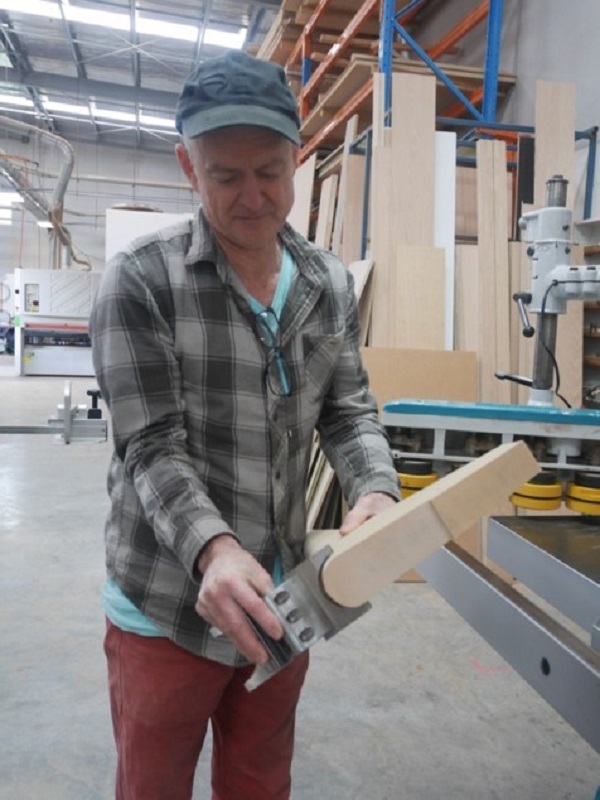 The human touch is evident throughout, relished by clients who appreciate its value and understand the qualities timber imparts to their home and lives. 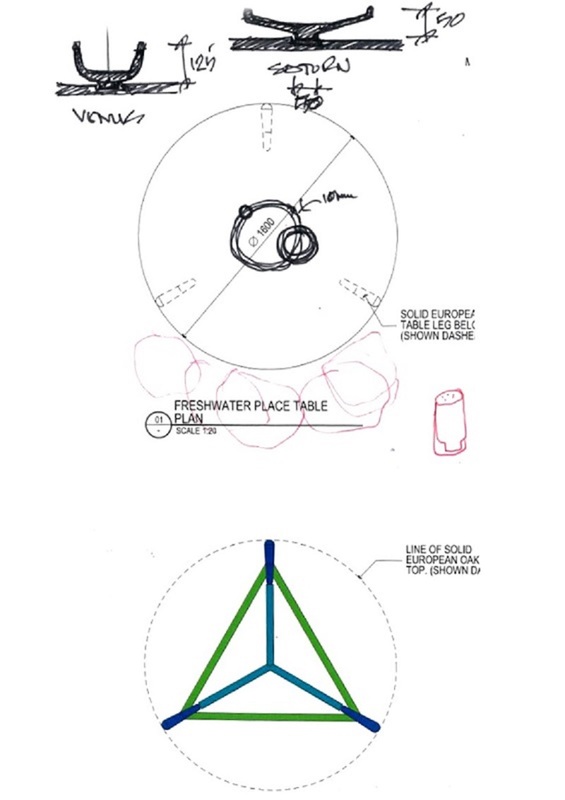 This table further develops ideas that have been explored in dining tables designed for our houses over many years. Its round shape responds to the curved building façade that defines the dining room. 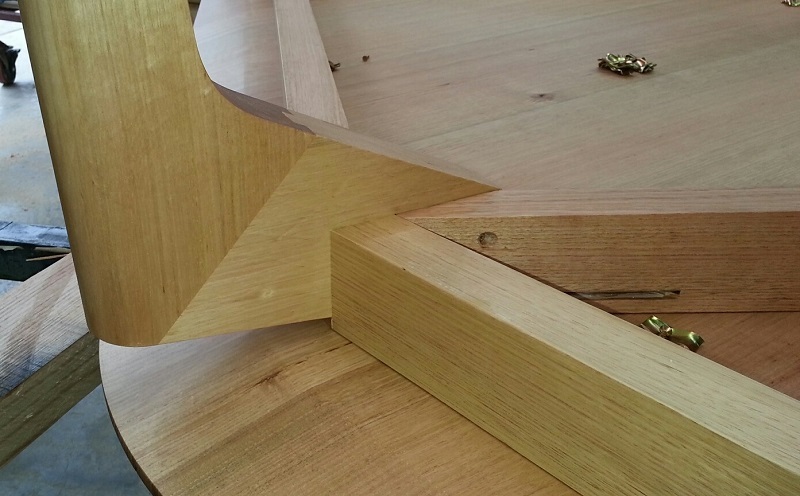 The table top is finished to a narrow profile and appears to float freely from three legs. 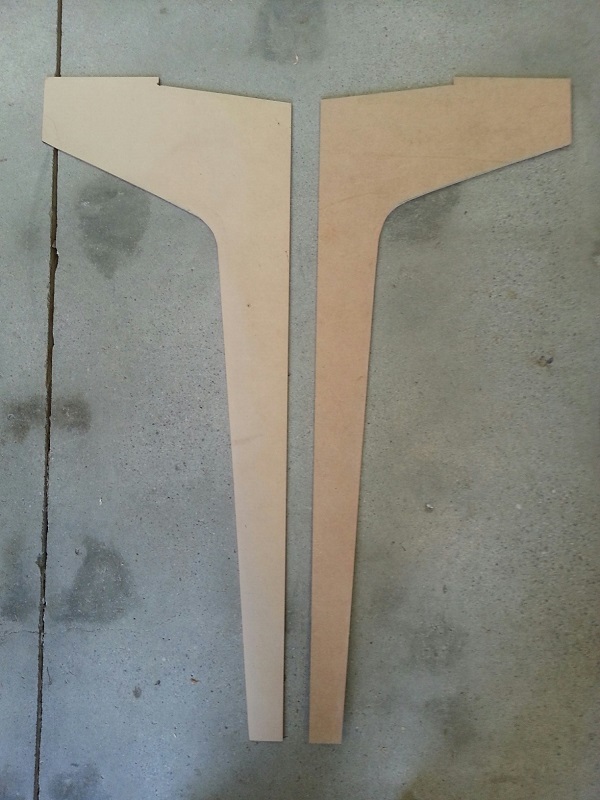 The legs are gently curved and tapered down in size to touch the floor lightly. 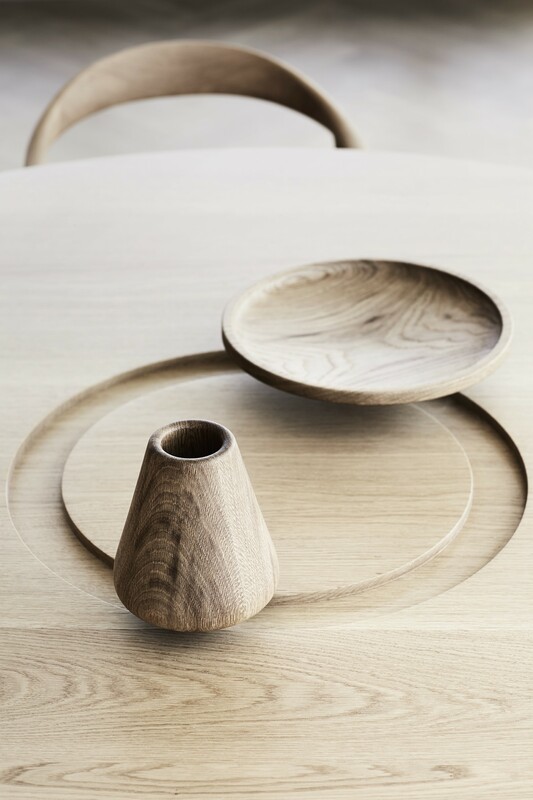 The table has two companion dining objects which reflect the clients’ differences and celebrate their union. Known as ‘Venus’ and ‘Saturn’, the vessels were each hand-turned from solid blocks of European oak. They can be rotated around the table along a purpose-built rebate, providing delight to the couple’s two-year-old daughter. Constructed from solid European oak, it continues the singular materiality used for the walls, floors and joinery in the apartment. It is finished in a matt hard wax oil which provides a lustrous finish and highlights the grain and beauty of the timber. The versatility of plywood and an intelligent pre-fab system allowed for the creation of a sophisticated feature structure in the heart of Sydney.